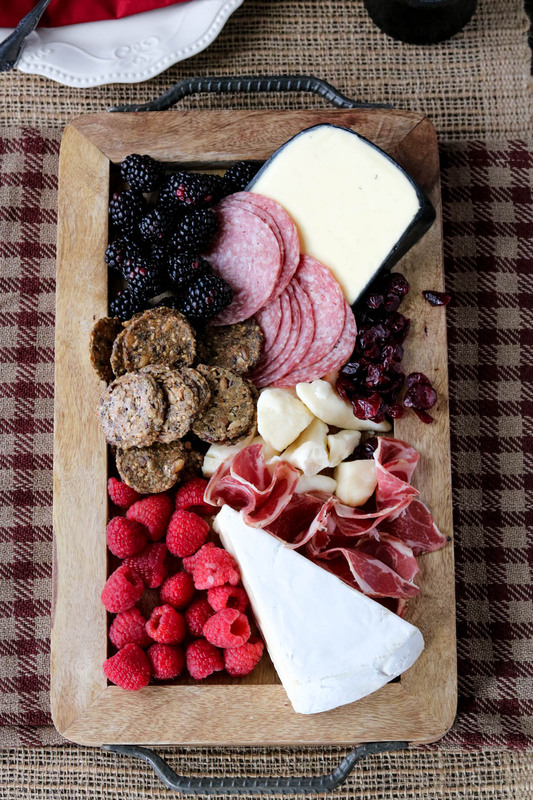 Keep your hungry guests at bay while you cook Thanksgiving dinner with an elegant, yet fulfilling, meat and cheese board. 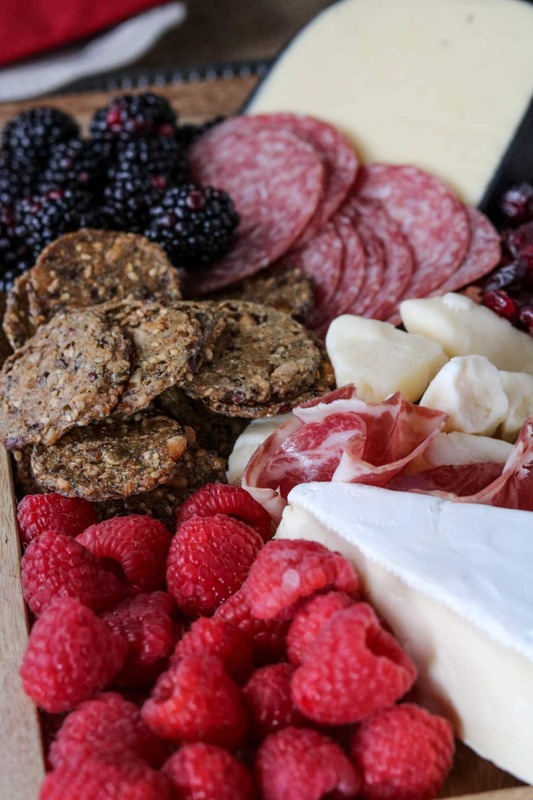 The best part of a cheese board is you get to make it your own. The key to a good Thanksgiving meat and cheese board is a good mix of sweet, salty, and textures. If you avoid regular dairy, add in some goat or sheep milk cheeses. 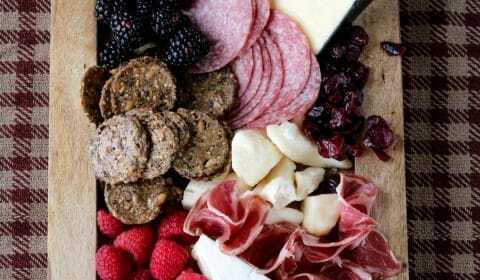 Or, if you avoid any form of dairy, just combine meats with an assortment of fruits or nuts. Make it your own! I obviously avoid adding nuts due to my nut allergy. I would recommend familiarizing yourself with any food allergies your guests may have. The last thing you want is an anaphylactic reaction on Thanksgiving! I’m not a huge goat cheese fan, I tend to only prefer goat cheese feta. I’m also not a fan of Brie cheese, however, I do like Camembert cheese, which I included in this cheese board. It’s a nice soft cheese but I find the flavor more tolerable than Brie. I like to include a nice soft cheese like this that’s easy for spreading. Opposite a soft Camembert I included a horseradish aged cheddar. 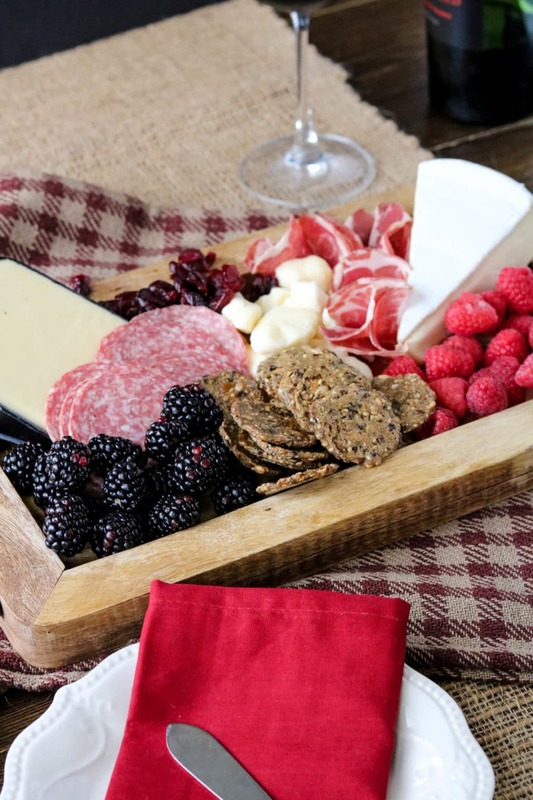 This strong cheddar flavor goes well when paired with a sweet fruit. 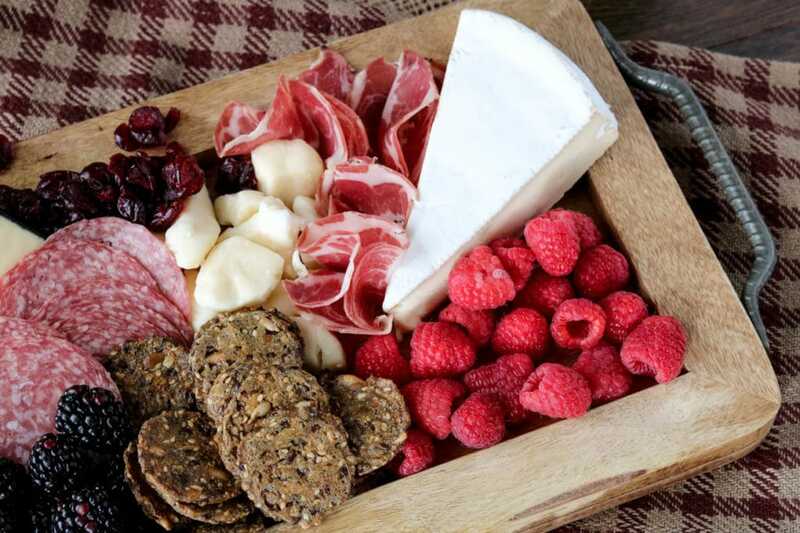 For those of your guests that like to simply graze and grab, include items like cheese curds and fresh berries. I included Wisconsin white cheddar cheese curds, fresh blackberries & raspberries, as well as some dried cranberries. You could also include seeds, olives, or even pickled items. For crackers, I included a gluten-free seed cracker. These are so good. They’re crunchy, salty, and made solely from a variety of seeds, no wheat or gluten included! Last, but not least, I included two of our favorites meats, uncured Italian dry Salami and Capocollo. Be sure to choose good quality meats that don’t contain any artificial ingredients or MSGs. Arrange all ingredients onto a wooden board or tray and serve. Add in your own additional ingredients as you prefer.